While strengthening border security can help prevent the Afghan conflict from spilling over into Central Asia, sustainable solutions to the out-of-control domestic radicalization processes in the region are much harder to find. And it is precisely here that Central Asia’s anti-terrorist measures are often counterproductive. In fact, the region’s political and economic makeup is further conducive to the rise of domestic extremism. Afghanistan has become one of the main links in the structure of the transnational market of suicide bombers which the so-called Haqqani network is actively developing. Fergana News presents the special report by its correspondent who talked to witnesses of the training of suicide bombers. In 2017, from Kazakhstan, there was little news about outbursts of extremist or terrorist activity. Data on the number of people who were charged and imprisoned for committing crimes "against the peace and security of mankind" (under this heading all "extremist" and "terrorist" charges are grouped in the Criminal Code of Kazakhstan), is not yet available. Political Science is usually quite good at figuring out the main power players and relevant structures in the political systems of most countries. Those of us who are interested in Central Asia, however, will encounter an utterly incredible mess in the analysis of the political processes in the region. Mostly, the confusion centers around the term “clan” – a term that is so overused that it has been deprived of any clear meaning. This has led to a certain mystification of Central Asian politics around such poorly defined structures with little regard for the differences between clans, tribes and regional elites. So, this week, let us look at what clans really are, what their role is and if they are so special after all. Twilight of Democracy in Kyrgyzstan: How Much Do Journalists and Human Rights Defenders Owe Two Presidents? Seven well-known Kyrgyz journalists and human rights activists must pay more than $1m in compensation to former President Atambayev and his successor Jeenbekov for insult and slander. Such an unprecedented amount is doubtlessly historic for Kyrgyz journalism and the country’s jurisprudence. One of the main issues on the world agenda of the outgoing year is the fight against the terrorist threat. The success of the international forces in countering the so-called "Islamic State" (the banned terrorist organisation "the Islamic State of Iraq and the Levant", ISIL, IS, ISIS in English, or "Daesh" in Arabic) in Syria can be considered only a local and intermediate victory in this struggle. 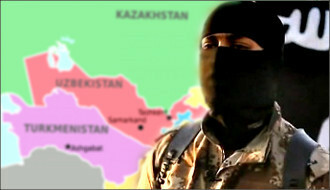 How serious are the concerns about the redeployment of IS forces to Afghanistan and the establishment of a new stronghold of the caliphate there, what threats to Russia and the countries of Central Asia are real, and what are - imaginary, how not to turn the fight against terrorism into witch-hunt - Fergana News has asked these and other questions from expert of the Centre for the Study of Modern Afghanistan, the head of the Analytical Group "Accents", political scientist Andrei Serenko. 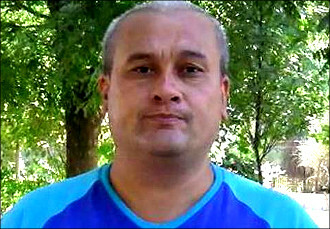 On 26 December, Tashkent journalist Bobomurod Abdullayev accused of an infringement on the constitutional order in Uzbekistan has suddenly rejected the assistance of lawyer Sergei Mayorov. He is the only defender who has managed to meet with the detained journalist two times, and who at least somehow has tried to influence the outcome of this case. However, he has not had much success: the investigators ignored all the lawyer's demands and refused to give him an opportunity to acquaint him not only with the course of the investigation but also with charges his client faces. Preparations for Christmas festivities had left no time to follow all developments in Central Asia, and here we have made the digest of the most critical updates in the region. On 11 December, the man, who introduced himself as the hokim (head of the administration) of the Shaykhantohur district, met with the tenants of three houses on Tashkent street on the site where the authorities plan to construct the pompous "Tashkent City" business complex. 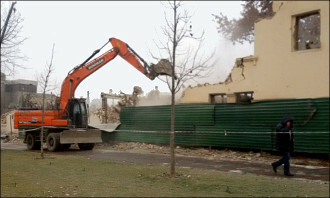 The official, in the company of other municipal staff, has announced that the residents are categorically obliged to vacate the housing in a ten-day period since the buildings around are already being demolished. On the questions of people, what should they do now and where to go, the answer, in its essence was: "We are not interested, go wherever you want." These words sounded if the tenants do not leave within ten days, they would be forcibly evicted by a court decision involving law enforcement. Given the sad experience of past years, there is no doubt about this perspective. 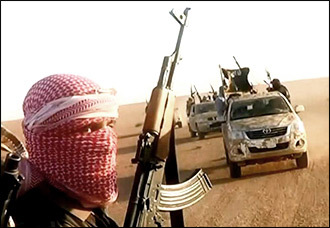 There are numerous reports from the northern provinces of Afghanistan about the arrival of well-equipped militants, who do not hide their belonging to the IS terrorist group (the banned terrorist organisation "Islamic State of Iraq and the Levant", ISIL, ISIS or IS Eng., "Daesh" Arab.) The Fergana News correspondent talked with residents, authorities, and learned the details of what is happening in the provinces of Balkh, Jowzjan and Faryab. Two wild cases, but unfortunately characteristic for Turkmenistan, occurred in a short period in different parts of the republic. Women, one of whom is 76 years old, and the other is slightly less than 68 years old, were viciously attacked. On the night of 28 to 29 October in Dashoguz, somebody threw stones in the windows of Khalida Izbastinova's flat shattering them. Two weeks later, on 14 November, in Ashgabat, Soltan Achilova was attacked in broad daylight. The "fault" of the first woman is that she is the mother of a Turkmen opposition and human rights activist, and the second is the correspondent of the "Azatlyk" Radio ("Freedom") banned in Turkmenistan. Kazakhstan ignores one of the main world trends - intolerance of sexual harassment in the workplace. As if in contrast to the events taking place in the West, where the careers of passionate celebrities collapse one by one, Kazakhstani victims of harassment remain practically unprotected. No one can turn the tide even if the individual has been recognised as a victim of harassment at the international level. In Western Kazakhstan, religious parents are suing the Ministry of Education: their daughters are not allowed to attend schools because they wear headscarves. Officials, representing a secular state, admit the possibility of a cross-claim - the failure to comply with parental responsibilities. Why is it important at all, do the girls wear headscarves in school or not, and what do parents and teachers think - Fergana News tells. General Dostum returns. Who supports who? Who is helping IS strengthen its position in northern Afghanistan? Does Turkmenistan possess military might to counter influx of militants? Pre-election Kyrgyzstan: Double game of President Atambayev? Cotton Slavery in Uzbekistan: The Last Victims? Rotten method: Kyrgyzstan actively discusses the ethnicity of the presidential candidate? Criminals and Officials in Kyrgyzstan: Who is Covering Whom? Islam Karimov: A great ruler or enemy of the people? Uzbekistan: mahalla waiting for President! Russia, Central Asia, migrants. 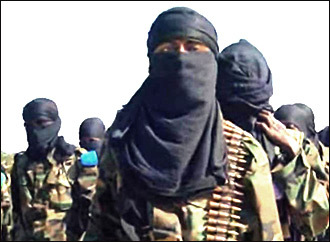 Where and how extremism threatens? Anticorruption campaign in Tajikistan or show? Who owns media in Kazakhstan? Tajikistan: Time to privatise hills and meadows? Uzbekistan: How visit by UN High Commissioner benefits? 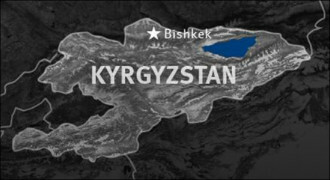 Human Rights in Uzbekistan: Commissioner, remember 2005 Andijan Massacre! Sisyphus, Aesop and Oedipus ... Which Islam Karimov will stand in Tashkent centre? Uzbekistan: Free Urlayeva from punitive psychiatry! 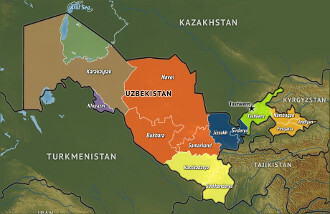 Uzbekistan: Mahalla—why does the president and society need it? Tajik-Afghan borders in photos: What lies on the other side of Panj River? Turkmenistan: Repressing Gulen supporters to cajole Erdogan? Poet to new Uzbek president: Let’s experiment! Uzbekistan: Stop punitive psychiatry on Jamshid Karimov! 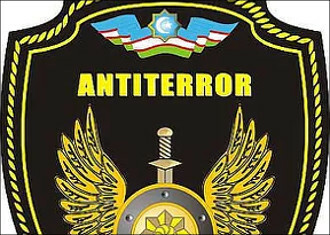 Any attack on representative of authority is equated to terrorist act in Kazakhstan. But why? Public politics gradually emerging in Uzbekistan. What’s next—freedom of speech? Who was Uzbekistan's Islam Karimov? 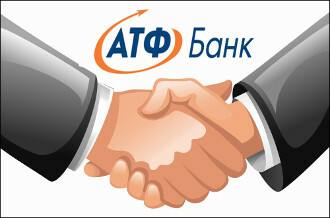 Uzbekistan: Hey, World Bank, attention here! “Russia’s southward turn”: Who benefits? Uzbekistan: Museum director’s removal unwarranted and sinister! Rashod Kamalov: A respected imam or “chief Islamist” in Kyrgyzstan? The West and the modern “Islamisms”: Who is behind the conflict designing? US military vehicles: Expensive gift for Uzbek President or non-disposable “garbage”?